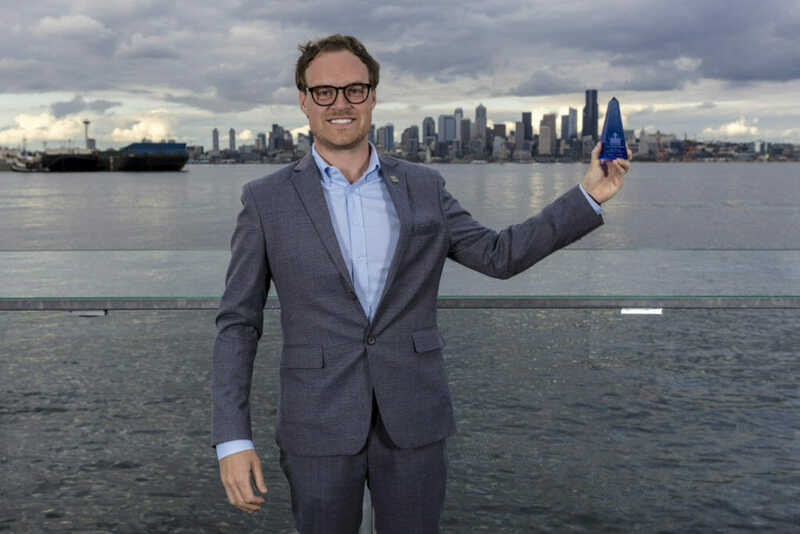 On June 14, SMPS Seattle hosted their annual Reign Awards Gala which recognized excellence in marketing communications in the Puget Sound region. Communications awards are awarded to Seattle Architecture/Engineering/Construction firms whose materials and campaigns that most compellingly achieved their firms’ marketing goals. CLARK | BARNES was honored to win three (of the eight) firm awards, including Best Brand Experience, Best Marketing Collateral and the Small Business Award. It was a wonderful event and we are thankful to the judges for their thoughtful evaluations and everyone who submitted their exemplary work. We also are so thankful for all our staff who have contributed during the re-branding process and for Dapper Ad on its execution. It’s one thing to have a logo and standards, but it’s another to have something that truly represents the people, work, company, and culture. Scroll down to read the executive summary that accompanied each winning submission! It was important to the Partners and staff that Brenda Barnes, a partner of 18 years, be recognized for her outstanding contributions to the firm. Furthermore, through market research of Seattle’s highly competitive Architectural landscape that although the firm was well established, a refresh of its identity in the marketplace would be useful in reflecting the firm’s emphasis on design. 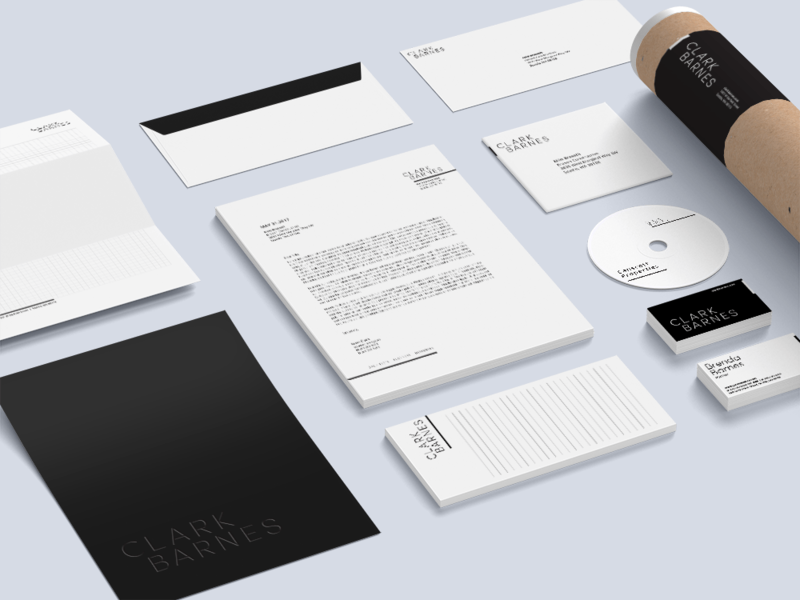 The new CLARK | BARNES brand (from Clark Design Group) needed to be emblematic of the “quiet confidence” the firm instills internally and thus was focused on “simplicity” while being “understated.” The firm considered the market, client, and staff perspectives before and during the re-brand process. In early 2017, we hired Dapper Ad to assist in the re-brand and the development of the website. With the rebrand to CLARK | BARNES, it was critical to develop a print collateral piece with flexibility and functionality. The goal of this piece was to allow staff to assemble a portfolio of relevant work quickly and effectively. 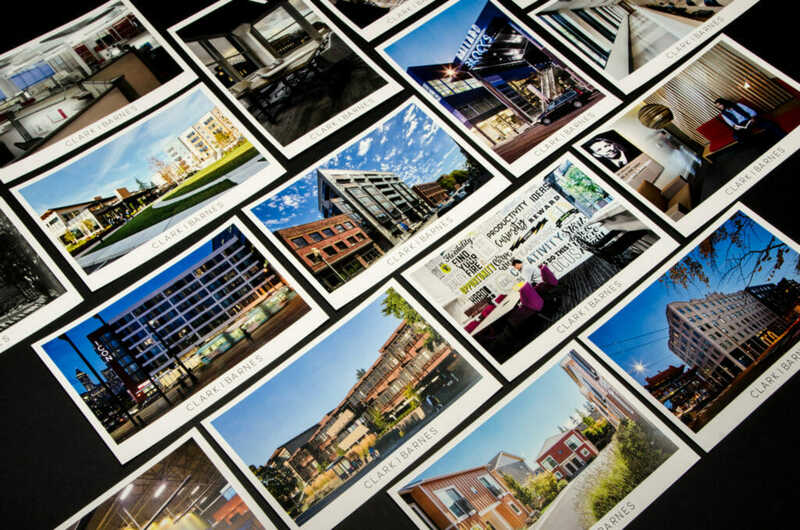 The project cards, printed on a slight gloss cardstock promotes an individual project and provides a memorable deliverable that provides clients with the information they need and reduces waste as only relevant projects are included. Our goal with the Project Cards was to highlight our work with a similar graphic style to our brand and allow for them to be used in a variety of applications. These 6” x 9” cards accompany a black embossed folder with a single business card slot. All staff can grab a folder at any time, put their business card inside and include representative projects when meeting with a client, consultant or otherwise. The staff has embraced this as an efficient and flexible way to promote themselves and the firm when meeting people unfamiliar with CLARK | BARNES. Although no submission was needed, CLARK | BARNES was honored to be awarded small business of the year for our work in repositioning and rebranding in the past year. It truly was a team effort and we are thrilled to share our story with everyone.